In a narrative that moves from the computational toward the biological and from current practice to visionary futures, Cogdell uses life-cycle analysis as a baseline for parsing the material, energetic, and pollution differences between different digital and biological design and construction approaches. Contrary to green-tech sustainability advocates, she questions whether quartzite-based silicon technologies and their reliance on rare earth metals as currently designed are sustainable for much longer, challenging common projections of a computationally designed and manufactured future. Moreover, in critiquing contemporary architecture and science from a historical vantage point, she reveals the similarities between eugenic design of the 1930s and the aims of some generative architects and engineering synthetic biologists today. Each chapter addresses a current architectural school or program while also exploring a distinct aspect of the corresponding scientific language, theory, or practice. 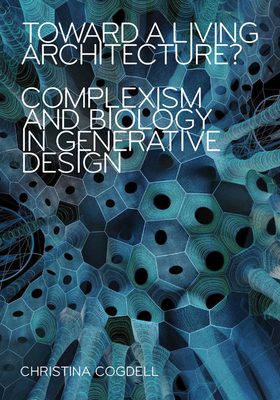 No other book critiques generative architecture by evaluating its scientific rhetoric and disjunction from actual scientific theory and practice. Based on the author’s years of field research in architecture studios and biological labs, this rare, field-building book does no less than definitively, unsparingly explain the role of the natural sciences within contemporary architecture.